Christopher Doege is a senior analyst at Hamilton Place Strategies, aiding clients with policy research and strategic communications related to healthcare and community development. 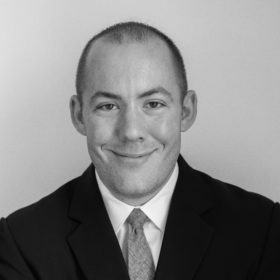 Before joining HPS, Christopher worked at Boston-based Analysis Group, where he was responsible for conducting economic analysis and providing consulting services. While in graduate school, Christopher was a policy intern at the White House Office of Management and Budget, where he focused on data transparency issues. Prior to graduate school, Christopher served as a Peace Corps volunteer in Azerbaijan. In this role, Christopher focused on capacity building at a local non-profit organization, taught English, and coached softball. A proud Minnesotan, Christopher earned his Master of Public Affairs from Indiana University School of Public and Environmental Affairs (SPEA) and Bachelor of Arts in Political Science and Legal Studies from Hamline University.